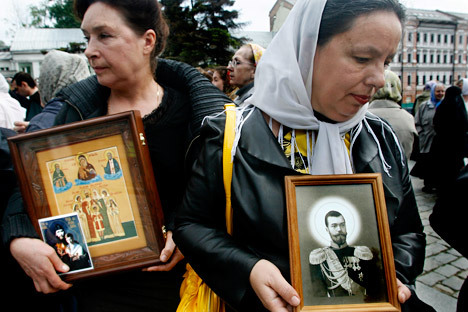 Women hold icons depicting the last Russian Czar Nicholas II. In September 2015 the Russian Investigative Committee resumed an investigation into the death of the family of the last Russian tsar. Investigators exhumed the remains of the Romanovs, who had been buried in the Peter and Paul Fortress, and took DNA samples from Nicholas II and Tsarina Alexandra Fyodorovna. 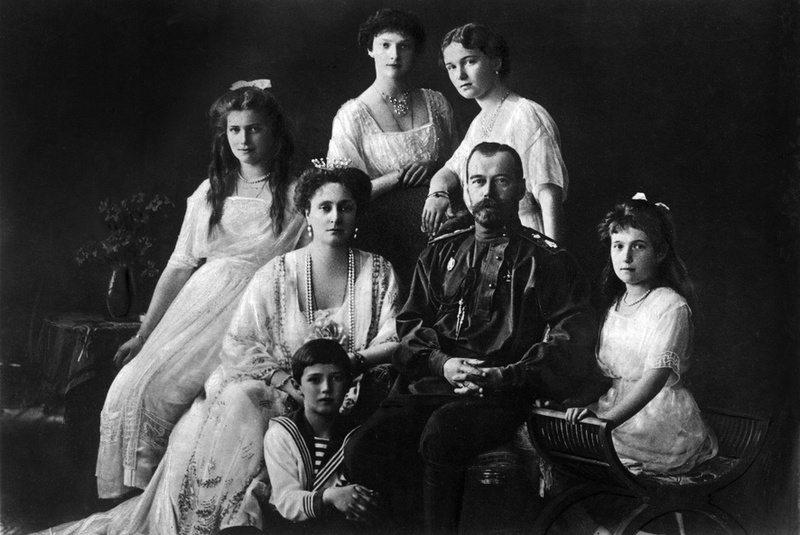 Official accounts states that the Romanovs were murdered on the night of July 16, 1918. However, their deaths remain clouded in legend. Could any members of the family have been saved? RBTH responds to the most important questions concerning the death of the last Russian royal family. How were the remains discovered? The remains of the five members of the royal family and their servants were found near Yekaterinburg in 1991. The remains of Tsarevich Alexey and Grand Duchess Maria were missing. Experts were divided in their opinions on the burial: some said it was the royal family, others denied it. The Russian Prosecutor General's Office carried out an investigation that helped identify the remains. After this they were buried in the Peter and Paul Fortress in St. Petersburg. Why has the investigation begun anew? In 2007 excavators found the remains of the other two family members - Alexey and Maria. Since then they have been kept in the Russian State Archive, but experts are fighting for them to be buried in the Peter and Paul Cathedral together with the royal family. At the end of November the case was transferred to the Department of Investigation of Extremely Important Matters and the remains of Tsar Alexander III were exhumed in order to conduct further genetic analysis. Who investigated the matter before? There were two investigations. The first one was carried out by White Guard (royalist) investigators Nametkin, Sergeev and Sokolov. The latter collected most of the material that played a key role in the investigation. The second investigation was conducted in 1993, when the Russian Prosecutor's Office launched criminal proceedings in the case. Russian law has no statute of limitations for premeditated murders, which is why the case of the royal family was investigated. Why is the new investigation important for the Russian Orthodox Church? In 2000 the Russian Orthodox Church canonized the members of the royal family, who are now venerated as "royal martyrs." That is why it is of great importance that no mistake is made in whose remains are buried in the Peter and Paul Fortress. The church supports the position of historian and academician Benjamin Alexeev, who doubts that the "Yekaterinburg remains" belong to the royal family. Why does the historian doubt it? The academician cites a waitress who said she served lunch to the daughters of Nicholas II's after the official date of the murder. Moreover, information found in an archive belonging to former investigator Sokolov points to the fact that after the Romanov's death, the Soviet government conducted talks with German diplomats on the "defense of the life of the royal family." Citing foreign colleagues, Alexeev also says that former German Emperor William II, being Grand Duchess Olga's godfather, provided her with a pension until 1941. Another confusing fact is that next to the bones of the remains of Alexei and Maria the excavators found coins dating from 1930. And is the historian mistaken? Many think so. For now each of his arguments has found a counter-argument: the waitress was intentionally confusing the "white investigation;" the Bolsheviks wanted to keep the murder of the royal family a secret and continued the negotiations; the 1930 coins found their way into the ground after burial. Could someone from the royal family have survived? Such a version does exist. Many believe that the burial was faked, staged by the Soviet government after the revolution, while the royal family managed to entirely or partially save themselves. A Polish-American woman by the name of Anna Anderson used to present herself as Grand Duchess Anastasia. This was confirmed by Grand Duke Andrey, Nicholas II's cousin. However, other members of the royal house issued a Romanov Declaration in which they refused to acknowledge kinship with her. There were at least 230 of them: 34 Anastasias, 53 Marias, 33 Tatyanas and 28 Olgas. Alexey had the most "clones" - 81. Two women even said they were the tsar's non-existent daughters: Alexandra and Irina. It is believed that the royal family had savings in European banks. That is what the impostors ultimately sought. Anna Anderson fought the banks in court for 40 years without success.